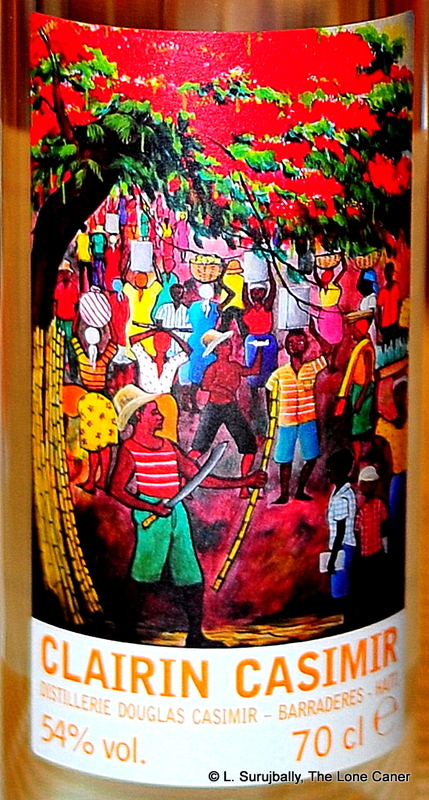 Haiti is unique as a nation because it is where the only successful slave revolt in the world took place, at the turn of the 18th century. Sadly, it is now the poorest country in the western hemisphere, and successive dictatorships, foreign interference and natural disasters have left the place in shambles. That any businesses manage to survive in such an environment is a testament to their resilience, their determination, their ingenuity….and the quality of what they put out the door. 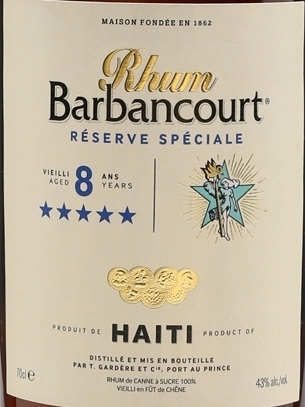 The country has become the leading world producer of vetiver (a root plant used to make essential oils and fragrances), exports agricultural products and is a tourist destination, yet perhaps it is for rum that its exports are best known, and none more so than those of Barbancourt, formed in 1862 and still run by the descendants of the founder. 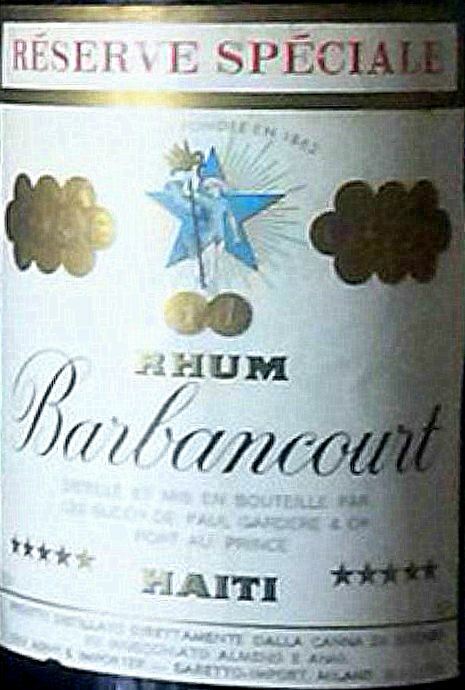 Until the mid 20th century, Barbancourt was something of a cottage industry, selling primarily to the local market. In 1949 they relocated the sugar cane fields of the Domaine Barbancourt in the plaine du Cul-de-Sac region in the south east, and by 1952 ramped up production, increased exports and transformed the brand into a major producer of quality rum, a distinction it has held ever since. 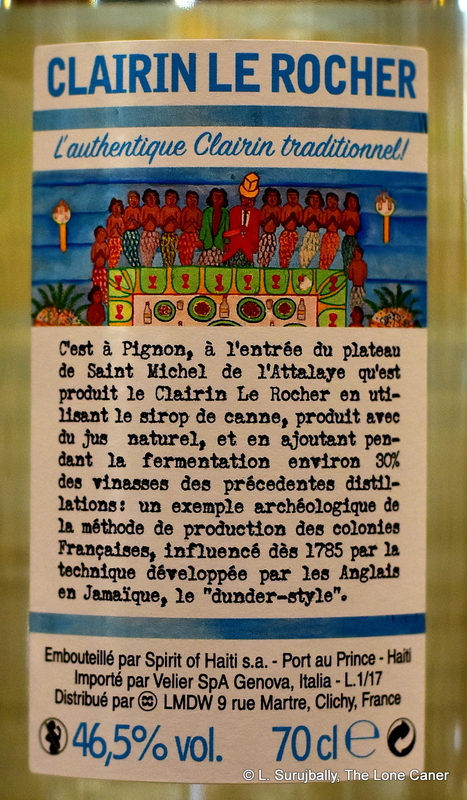 The rhum, based on sugar cane juice not molasses, used to be double-distilled, using pot stills in a process similar to that used to produce cognac (Dupré Barbancourt came from the cognac-producing region of Charente which was undoubtedly his inspiration); however, nowadays they use a more efficient (if less character-driven) three-column continuous distillation system, where the first column strips the solid matter from the wash and the second and third columns serve to concentrate the resultant spirit…so what is coming to the market now is not what once was made by the company. 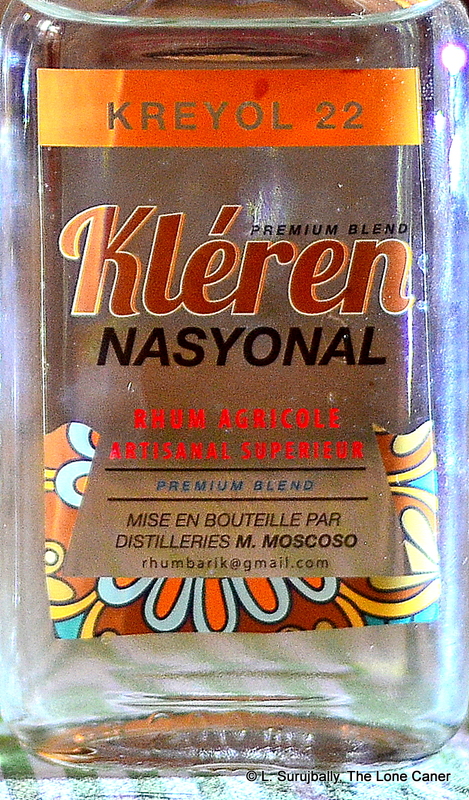 Haiti has no shortage of other rhum producing companies – but smaller outfits like Moscoso Distillers or LaRue Distillery are much less well-known and export relatively little, (and back-country clairins are in a different class altogether)…and this makes Barbancourt the de facto rum standard bearer for the half island, and one of the reasons I chose it for this series. This is not to dismiss the efforts of all the others, or the the artisanal quality of the clairins that Velier has brought to world attention since 2014 — just to note that they all, to some extent, live in the shadow of Barbancourt; which in turn, somewhat like Mount Gay, seems in danger of being forgotten as a poster boy for Haiti, now that the pure artisanal rum movement gathers a head of steam. 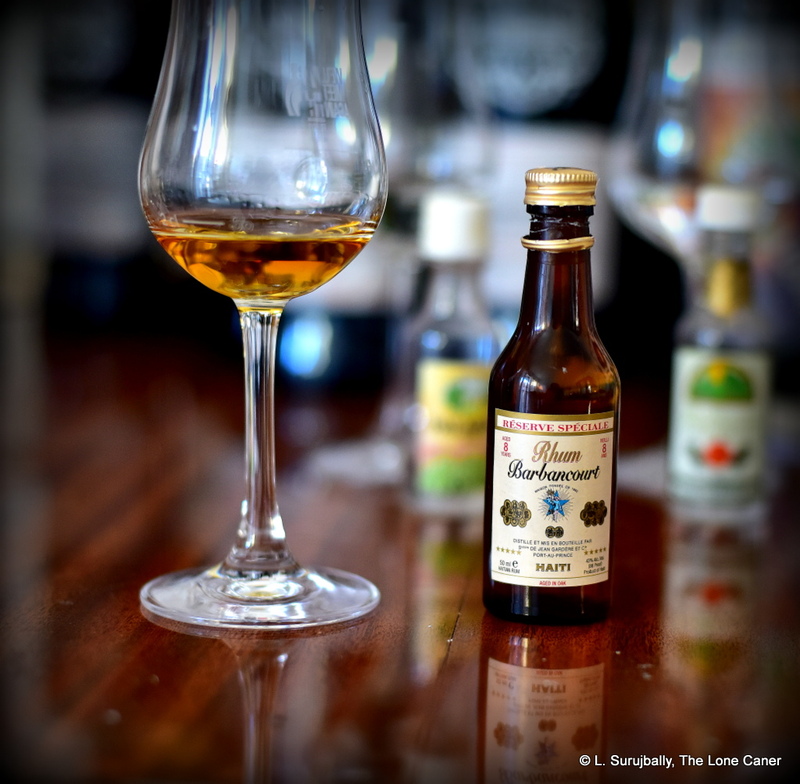 Barbancourt’s rhums are not issued at full proof: they prefer a relatively tame 40-43%, and every possible price point and strength is not catered to. The company has a relatively small stable of products: the Blanc, the 3-star 4 Year Old, the 5-star 8 Year Old and the flagship 15 year old (Veronelli’s masterful 25 year old is a Barbancourt rhum, but not issued by them). Though if one wanted to get some, then independent bottlers like Berry Bros., Bristol Spirits, Duncan Taylor, Cadenhead, Samaroli, Plantation and Compagnie des Indes (among others) do produce stronger and more exacting limited offerings for the enthusiasts. 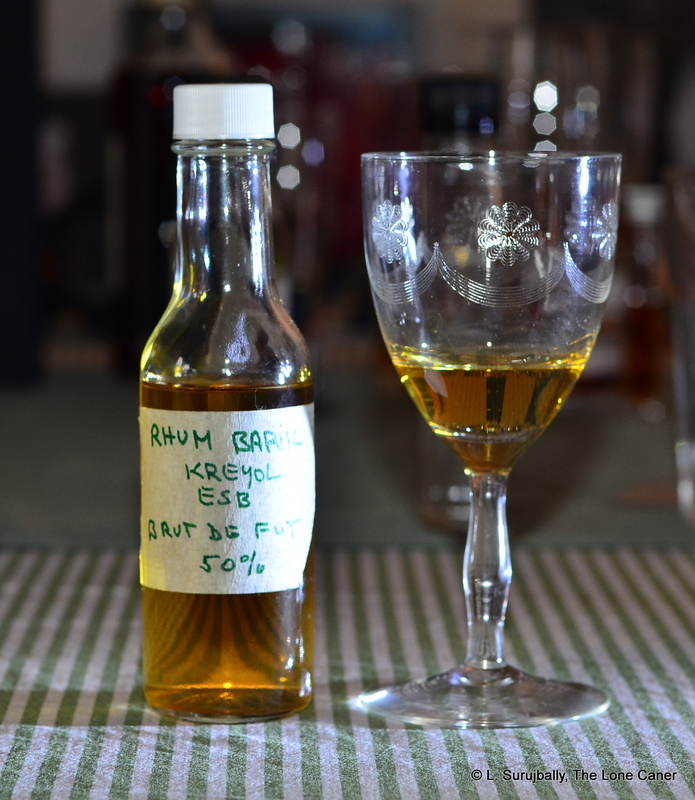 Yet even with those few rhums they make, whatever the competition, and whether one calls it a true agricole or not, the rhums coming from Barbancourt remain high on the quality ladder and no rumshelf could possibly be called complete without at least one of them. After trying and retrying all three major releases, my own conclusion was that at the intersection of quality and price, the one that most successfully charts a middle course between the older and the younger expressions is the 5-star 8 year old (I looked at it last way back in 2010, as well as one earlier version from back in the 1970s) which remains one of the workhorses of the company and the island, an excellent mid-level rum that almost defines Barbancourt. It does display, however, somewhat of a schizophrenic profile. 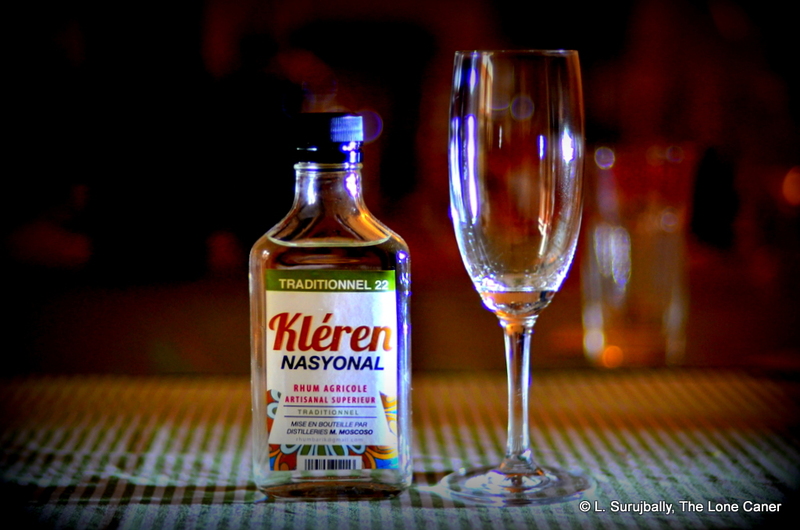 Take the nose, for example – it almost seems like a cross between a molasses based rum and an agricole. While it certainly possesses the light, herbal aroma of a cane-juice distillate, it also smells of a light kind of brown sugar and molasses mixed up with some bananas and vanilla (it was aged in French oak on Haiti, which may account for the latter). There’s also a sly briny background, combined with a pleasant hints of nougat and well polished leather, plus the subdued acidity of green apples, grapes and cumin. 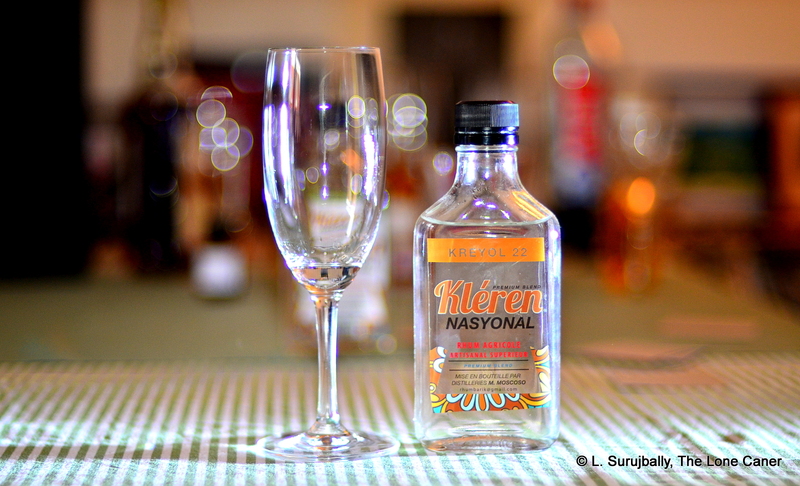 Not all that intense at 43%, but excellent as an all-rounder for sure. 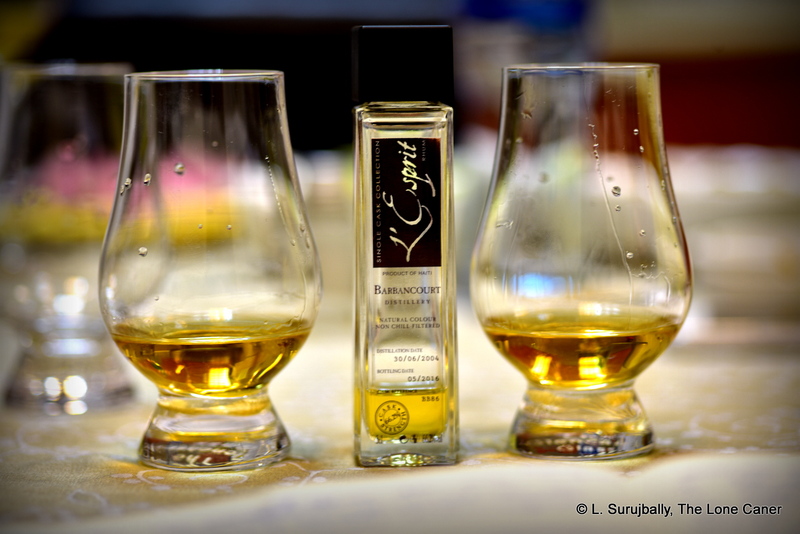 What the nose promises, the palate delivers, and yet that peculiar dichotomy continues. It’s soft given the strength, initially tasting of caramel, toblerone, almonds and vague molasses and vanilla (again). Brine and olives. Spices – cumin, cinnamon, plus raisins, a certain delicate grassiness and maybe a plum or two (fruitiness is there, just understated). Nope, it doesn’t feel like a completely cane juice distillate, or, at best, if feels like an amalgam leading neither one way or the other, and the close sums all that up. It’s medium long, with salt caramel ice cream, vanilla, a bit of raisins and plums, a fine line of citrus, a little cinnamon dusting, and a last reminder of oaky bitterness in a relatively good, dry finish. 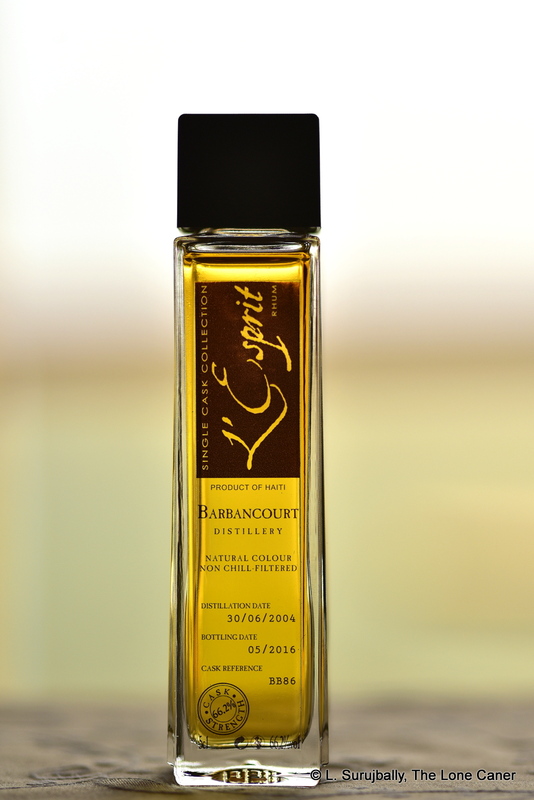 What makes the Barbancourt 8 YO so interesting — even unique — is the way the makers played with the conventions and steered a center line that draws in lovers of other regions while not entirely abandoning the French island antecedents. 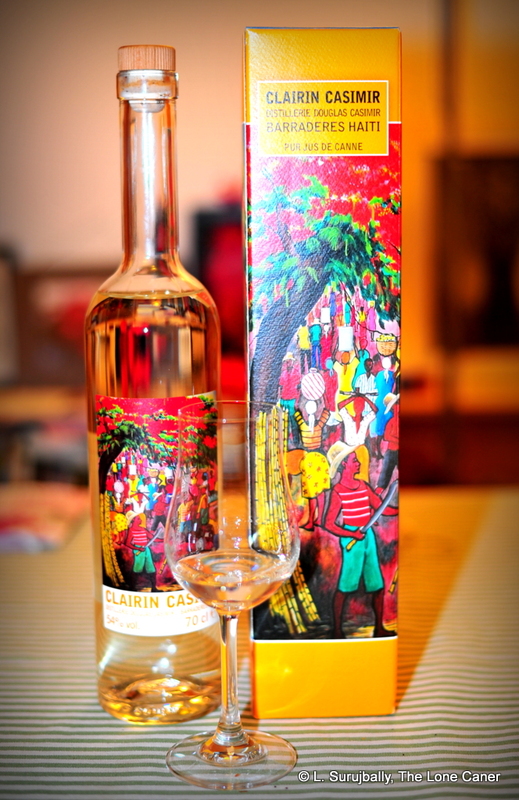 It reminds me more of a Guadeloupe rhum than an out-and-out agricole from Martinique, with perhaps a pinch of Bajan thrown in. However, it’s in no way heavy enough to invite direct comparisons to any Demerara or Jamaican product. 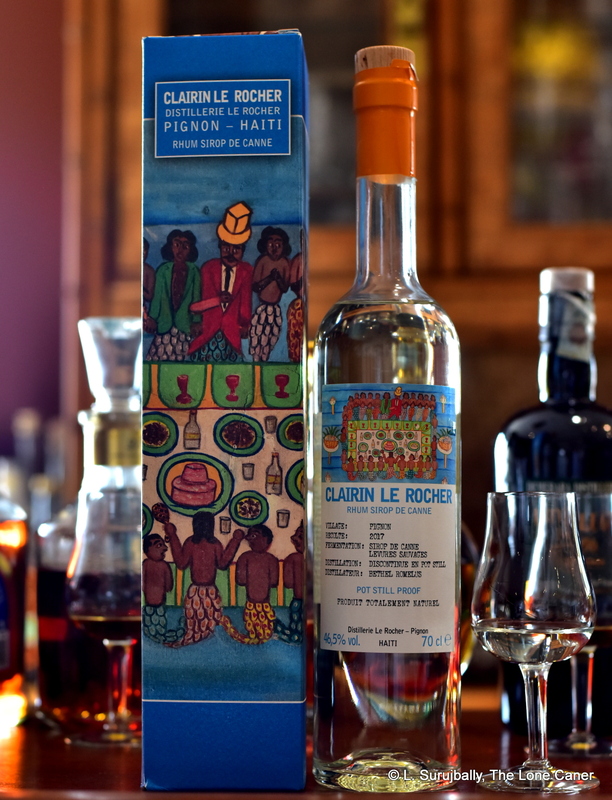 So, does it fail as a Key Rum because of its indeterminate nature, or because it lacks the fierce pungency of a clairin, the full grassy nature of a true agricole? Not at all, and not to me. 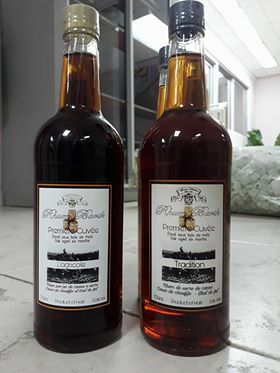 It’s a completely solid rhum with its own clear profile, that succeeds at being drinkable and enjoyable on all levels, without being visibly exceptional in any specific way and sold at a price point that makes it affordable to the greater rum public out there. Many reviewers and most drinkers have come across it at least once in their journey (much more so than those who have tried clairins) and few have anything bad to say about it. 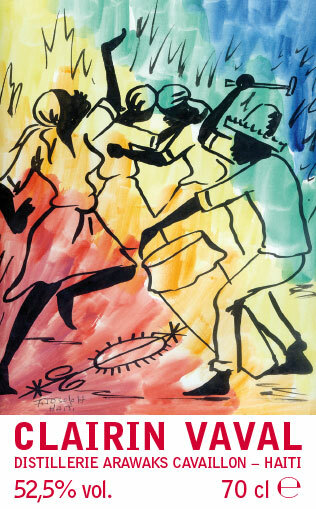 It’s been made for decades, is well known and well regarded — not just because it’s from Haiti, but because it also has a great price to value ratio. There’s a lot of talk about “gateway” rums, cheaper and sometimes-adulterated rums that are good enough to enjoy and savour, that lead to more and better down the road. 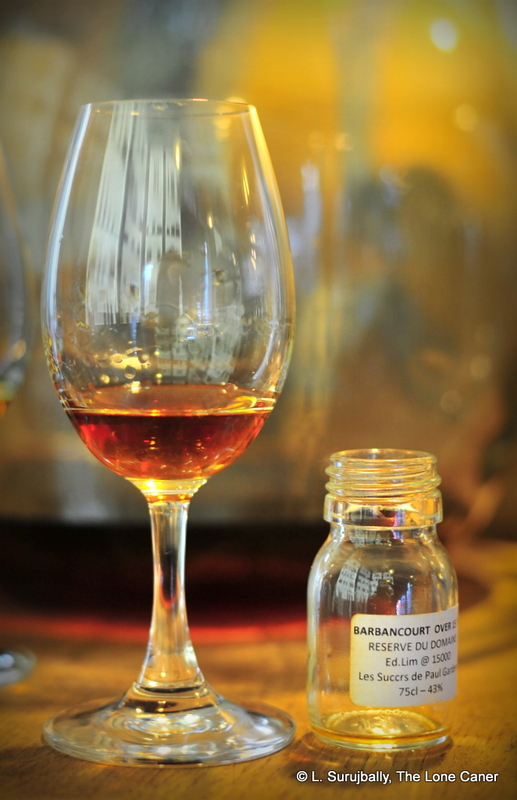 It’s usually applied to the Zacapas, Zayas, Diplos and younger rums of this world, but if you ever want to get more serious about aged agricoles, then the Barbancourt 8 YO may actually be one of those that actually deserves the title, and remains, even after all these years, a damned fine place to start your investigations. In a curious coincidence, a post on reddit that did a brief review of this rhum went up just a few days before this was published. There are some good links contained within the commentary. 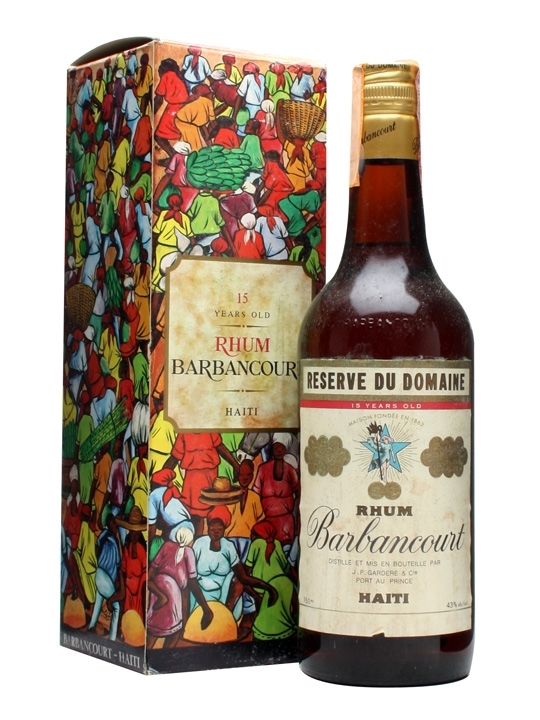 Here’s a pretty decent, if somewhat anorexic, rhum from Haiti, courtesy of the House of Barbancourt. The name “Réserve Spéciale” is still in use, and refers these days to an eight year old, but so scarce is any kind of information on the sample I was provided (even getting a photo was problematic hence the lousy quality of the one you see here), that for me to say it was an eight year old back then is an educated guess, not a fact. Still, info or no info, a sample was sent, and there it is and here we are. It’s not something a rum junkie can ignore. Nose – Thin and yet still very aromatic. Lots going on here – light cherries, and dark prunes, fried bananas and french bread covered over with green grape skins and dark chocolate (I know how that sounds, believe me) – the way it all comes together is tailor made for leisurely sniffing. Palate – For a rum this dark, it’s surprisingly delicate…y’know, like a sumo wrestler wearing heels. Heated with a sly citrus sharpness to leaven it all. More plums and ripe cherries carrying over from the nose, to which is added grapes, black olives, vanilla, cinnamon and some cardamon as it develops. With water not much changes, some vague grassier hints round things out. It’s actually quite a smooth product, once it settles down. Still lacks real body though. Finish – Short and easy, warm and fragrant. Florals, lemon zest, grass, vague but unidentifiable fruitiness plus some vanilla. A bit too thin, really, but I concede that what it does present is nothing to sneeze at. Thoughts – Nothing much to say. A decent agricole all the way through. The modern Barbancourt series are not very far away from this, which says a lot about the overall consistency of the line through the decades. Sometimes even a short series of notes like those above illustrate larger points about the rum universe. What is becoming clearer as I do these reviews, is that while independent bottlers take care to keep track of and list every one of their offerings — including from which country, from what year and at what strength — more commercial “country-based” makers (like DDL, Barbancourt, Mount Gay, Angostura, St. Lucia Distilleries, Flor de Cana, the Travellers, the Jamaicans etc etc) who keep a single line of rums stable for many years, never really bother. 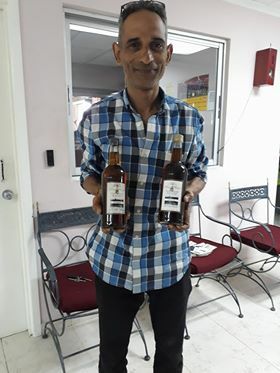 That’s why Carl Kanto could mourn the passing of older DDL rums marketed in the pre-El-Dorado days, of which no trace, no list, no photograph, no profile, and no sample remains. I believe that in these cloud based internet days, every rum maker owes it to the generations to come to preserve a complete set of every rum they have ever made, are making, and will make — in writing and in photographs, and maybe with a few cases squirrelled away in a vault someplace. It may seem like a waste now, but in fifty years it would be a treasure beyond price. And as we all get older ourselves, haven’t we all noted that the years are passing more quickly? That fifty years will be gone in a heartbeat. 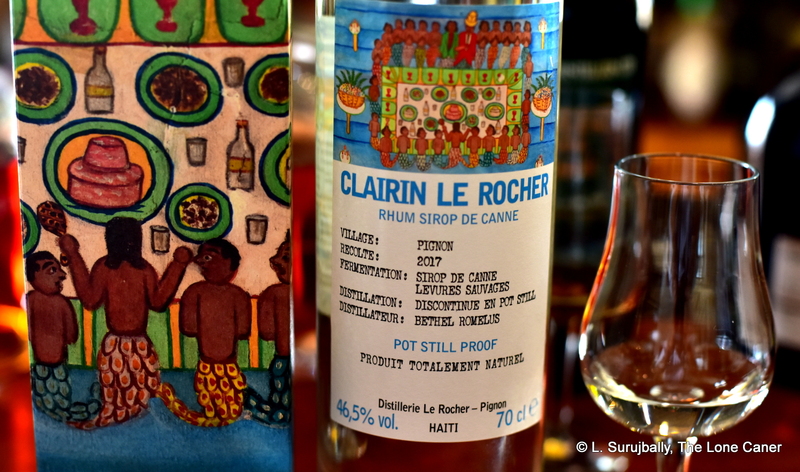 The forerunner of the still excellent fifteen year old rhum made in Haiti to this day, this one was generated in the 1970s, and it’s a pretty good rhum even after a remove of so many years. Pot still 43%, about 15,000 bottles were issued according to The Sage, while The Whisky Exchange says 20,000…doesn’t matter, they’re rare as hen’s teeth these days anyway. I think the recipe they used then is a little different than the current iteration of the 15, but not by much. Note also the similarity of the box to today’s edition. Nose: Oddly thin and discombobulated. Spicy, not too much. Nuts, caramel, port infused pipe tobacco, black grapes, some zest. Gets easier as you keep at it, rewards some patience and savouring. Palate: Light bodied yet not anorexically thin, thank God (hate those). Some beef and biceps kept under velvet sleeves – 43% is great here. Not quite a molasses background, but some – caramel, vanilla, toffee, crushed walnuts, ice cream without enough cream. Black grapes continue, red guavas, some anise and fennel and black tea (without sugar). A shade too thin, really – still, you can’t fault the fact that it’s delicious. Finish: Medium short, unremarkable. Nothing more than the aforementioned spices and toffee to report. Goes down nicely, and at least it doesn’t hate you. Thoughts: Amazing how consistent this is in quality to the current 15 year old, which I quite liked. Still, tasted after the >25 Year Old Veronelli, you can sense the difference. 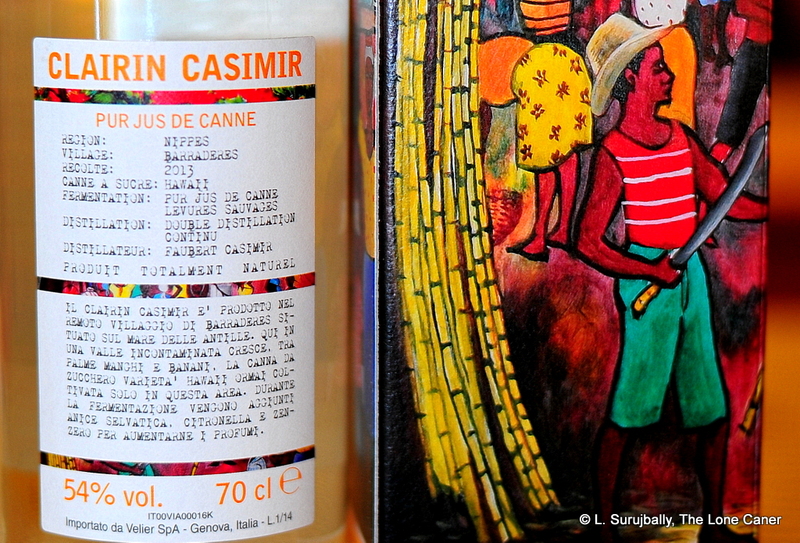 Surprised this was/is a cane juice product — has elements that hearken more to molasses, but what do I know? A pretty good all-round rhum in all times, in all worlds.